Dedicated to the Sun God. The original temple dates back to 13 nth century. The present one is re-constructed in 15 nth century following destruction from the Muslim rulers. The temple is said to be in Nagara style, which is marked by profusely intricate sculptural work. It is built of lime stone and is very intricately ornamented. 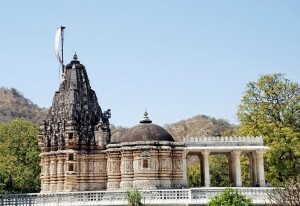 Ranakpur is 98 kilometers from Udaipur. The Chamukh temple of Jain Thirthankara Adhinath – a grand temple complex in marble is a must visit, which is nearby.